Posting on your social media with a video is one of the best ways to catch attention. More people these days acquire knowledge by videos. Although videos are important, making them is not an easy task without a tool. In this blog, I will list the top 17 video making tools for social media. This list is ordered alphabetically. This tool has been beloved by many video professionals. Adobe Premiere Pro supports all types of format and any platform including mobile workstations. This software can integrate with other Adobe programs such as After Effects, Audition and Adobe Stock. To make good use of this tool, there will be some learning tool since this was designed for skilled professionals. For individual users, there are two versions, Adobe Premiere Pro CC and Creative Cloud All Apps. They both offer a free trial version that lasts 7 days. Beyond that, you have to pay $29.99AUD per month for the CC version and $76.99AUD per month for All Apps version. Some blogger recommended that if you are a mac os user, you could be better off with Final Cut Pro X. With Adobe Spark, you can create videos on web and mobile. You can easily customize and share your videos using this software. Backed by Adobe’s powerful image editing capabilities, this tool provides a range of amazing features including beautiful typography, iconic images, professional themes, and synchronization of your projects across the web and mobile apps. The starter package is free. You can create graphics, web pages, video stories, and sync across platforms. This complementary starter pack will give you some time to explore this software. Anchor is not exactly video making tool. It is an editing tool for your podcasts. What I liked about this software is its ease of use. You can just download this app on your Android or iOS phone, and you can just start recording podcast. When you finish your record, Anchor will automatically interpret your voice and create background with text. Using this tool, you can share your recording on your social media. Are you interested in monetizing your podcast? That’s what Anchor does too. 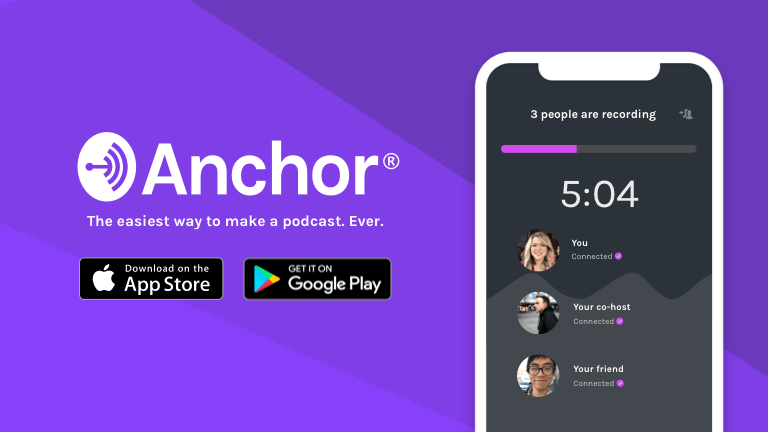 In its website, it explains that Anchor will help you to earn money with your podcasts by matching great brands who are interested in sponsoring your episodes. Free version will limit you to record up to 2 minutes. But, I think that is sufficient for one episode and try out. When I conducted a research, people frequently talked about this software, and in many times, it was in ranking lists. It is a cloud-based video creation tool that you can just log into the website and start creating your own video without downloading any software. Animaker says that it has the world’s largest animated library. The range of video types is also broad – 2D, infographics, handcraft, whiteboard, 2.5D, and typography. I especially liked its infographic maker. The style still is in an animated theme, but combined with actual data, you can create amazing infographic and data visualization. Just in case you want to learn great data visualization tools, check my post here. It also has a free version where you can create videos that run up to 2 minutes. The number of exports is also limited to 5, but you can create the unlimited number of videos. Also, in the free version, you can only use part of animated characters, maps, charts, and infographic icons. I believe that this is enough for exploring this interesting video maker. Animoto is a cloud-based tool targeting business users. The software encourages you to use it to promote your products and business so that you can generate higher revenue. Animoto is easy to use with many pre-built storyboard templates and licensed songs for your background music. It has its own image stock library, Getty, that stores a million photos and video clips you can choose from. To use it, you have to purchase either Professional or Business subscription. I especially liked its user friendlessness that would eliminate the need of hiring videographers. Animoto offers a free trial only for the Professional version for 14 days. A Personal version will charge you $8 per month that will allow you to create standard quality video (720p), use 350+ music tracks, 12 storyboards, 3 fonts, and 30 color watches. With the basic version, they will put their Animoto logo at the end of videos, which I personally think that that should be the case for a free version. It boasts its simpleness and easiness of use with a brad collection of pre-made videos. You can easily edit a video by drag and drop. It also has huge music library that you can add it as a background music. Once you make it, you can share you masterpiece with your friends and family on your social media. With its free version, you can create HD TV quality videos unlike Animaker that only gives SD quality option. You can publish your videos to YouTube and Facebook and create 5 projects per month. Still, this is not a bad option as a starter. Yes, you guessed it right. The name is quite self-explanatory. You can broadcast your video on live on Facebook using this tool. As you would’ve experienced by watching a live football or basketball match, a live video delivers more excitement and liveliness to watchers. You can use this to promote your product. In terms of features, you can record a 360-degree video and you can even engage with your followers in real-time using a chat box. This tool is downloadable to your mobile phone, and it is, best of all, free of charge. Hyperlapse is created by Instagram for creating time-lapse videos. You can speed up a video up to 12 times. The great strength of this tool is an ability to stabilize and smooth out the bumps from the road. With smoothing out effect, you can create a cinematic quality, which was previously not possible without heavy equipment. This app is free, but you can only download it in iOS App Store. Magisto is closer to a video editing tool than to a creation software. This cloud-based software will harness the power of Artificial Intelligence to edit your video automatically. You just upload you video and choose an editing style and soundtrack from their library. Then, their AI will analyze your video and automatically edit it. They offer native video player that you can embed into your website or social media channel. You can also include it for email and content marketing and advertising platforms. It offers a free trial for Professional and Business version. Moovly boasts its simple and easy drag-and-drop interface to create engaging videos. They say that you don’t need editing skills or a large money to create a professional video. You can enjoy a large selection of their templates, which will accelerate the creation process. Their solutions are targeting at small and medium sized businesses and enterprises. Moovly offers a free trial that does not require credit card details. Powton offers a wide range of solutions to various interest groups including marketing, IT, training, HR, education, Youtube Video Ads, and more. It has very simple and intuitive user interface for amateurs and pros. The website says that you can create a professionally-looking video in 20 minutes by just dragging and dropping video components. It has a free version for personal use. With the version, you should bear with the Powtoon brand in your video. And, you will be able to create a video up to 3 minutes and will be given 100MB storage. Slidely provides you with a simple way of creating videos and making good use of your photos. As the name implies, you can make a cool slideshow with a set of your pictures. This cloud-based tool is designed to meet the needs of individual users rather than companies. You can design a beautiful gallery and a collage as well. It has a mobile version for Android and iOS that are free to download. Renderforest is a versatile tool that can create your logo, professional introduction, animations, promotional videos, slideshows, music visualizations, landing pages and even a professional website. This cloud-based tool also can be used to design infographics, kinetic typography, infographics and many more. This universal tool starts with a free version that allows you to create unlimited 360p videos up to 3 minutes. The complementary version will give you 500MB storage and their watermarks on every your product. This one-size-fits-all tool can be your choice to cover broad range of your necessities. Ripl is social marketing tool for small businesses. You can easily create promotional videos using designer templates they provide. They will give you a personalized advice for your targeted audience. You can share your creation on your social account and check real-time analytics on engagement performance. Its basic version is free. You can create a video up to 30 seconds. Since this app is designed for small firms, it focused on simpleness and ease of use with essential features. Rocketium is also a powerful video making tool. It is very generous that its life-long free version could be enough for your video needs. You can create up to 3 videos per month with YOUR logo in it. You can export a video in 720p HD. It has important video editing features. Plus, it has an auto-resizing function that adjusts your video for each social media. What’s amazing is that it has an automatic translation feature for more than 100 languages. Shakr is a simple drag-and-drop video tool that is easy to use. It has 3000+ templates to choose from and 2000+ video designs. With this huge selection, you can get inspired for your new video. Shakr categorised those templates by industries such as game, restaurant, hotel, travel and many more. This software is more for companies instead of individuals. Its basic plan starts at $49 per month. It does not seem like it offers a free trial version as I checked on its website. You may have to ask its staff for a trial version. Shotcut is an open-source platform that you can use its full functionality for free. It supports latest formats of audio and video and supports for 4K resolutions. As it always is the case with an open source, there should be a learning curve, and you will be on your own to learn this tool. But it is quite flexible in terms of operating system compatibility. You can use it for Windows, Linux, and macOS. Soapbox is suitable to those who want to create sales videos. This tool is not a heavy-weight cloud-based tool, but you can install it on your Chrome browser. As you can guess, it does not come with extensive features, but you can just use your browser to create a simple video. It offers a free version that includes all of Soapbox’s features. But you can create up to 3 videos per month. Typito is a tool that you can create stunning text videos faster and easier. This cloud-based tool offers free motion graphic templates and a simple way to share your work on social media. It offers a free trial version where you can make up to 4 full HD videos per month with Typito brand embedded in your video. The company says that you can remove the brand for $10 per video project. This tool is also suitable for those who are looking for creating media for better engagement with the audience. The solutions that this software provides aim at training, e-learning, HR, and agencies. In addition to real-life videos, you can create animations that can be a good medium to deliver the complex and boring idea to your audience. You can try the free trial version for 14 days. This tool is specifically designed for animation makers. It highlights its ease of use and large amount of templates for fast production. You can embed your photos and overlap them with animated characters and texts. The website has learning materials and tips for first-time users. Wideo has a 7-day free trial version for each of the three paid versions. After reading this post, you will already have some candidates for trial. Depending on the purpose of use and individual vs. company, you can narrow down this list into a few. What’s best, you can go first with a trial version and always can come back to choose another tool.